"A delicious banana shake made with milk, yogurt, lemon juice and sugar." In a blender, combine banana, lemon juice and sugar. Process until smooth. Blend in the milk and yogurt. Pour into glasses, top with a dab of whipped cream and serve. I really liked this. I didn't have any plain yogurt so I used strawberry and it was really good! My 3 yr old and 10 mo. old loved it as well. Nutritional AND tasty! Very easy and tasty. 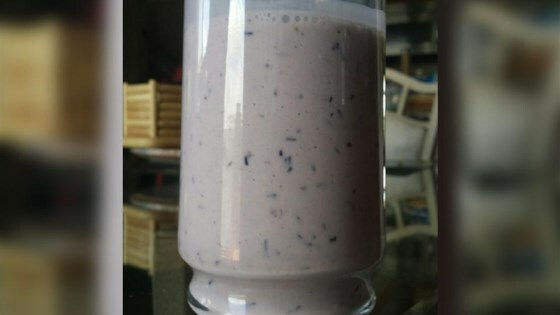 I used blueberry yogurt and reduced the sugar to only 1 tablespoon. Very filling.